We made this post to answer some of the most common questions about the table opening, let´s get right to it! Hiroku scans ONLY open tables, and not from the lobby itself. The scanning process is completely independent from the table opening process. If the tables are not open, they won’t be scanned at all. 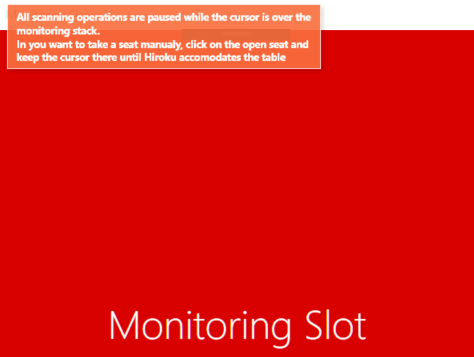 Once the tables are open, they should go directly to the monitoring area set in your layout configuration. –Does this mean I have to open the tables manually? Even though opening the tables manually IS one of the options, you can always look for a table scanner/opener. There’s a very cool way of checking this, by going to the site setting inside hiroku. 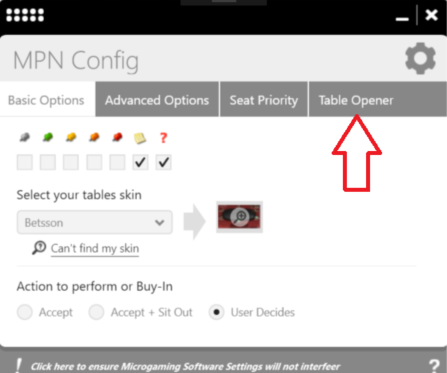 Our simple yet useful table opening section will let you configure the stakes and type of tables that you really need. Please take notice that the table opener will only work when you turn on the script for that site. For ChicoPoker, a beta is being finished and will be in beta soon.